The Darlington Branch of the Campaign for Real Ale was formed on 19th May 1982 in the Collector's Arms in Houndgate, a tiny bar above an antiques market off Houndgate. It was a pub which had a short life but now has its place in history. The Collector's was a rarity in Darlington, not only in serving real ale but in also being a free-house. At the meeting no fewer than 63 people turned up; remarkable for an area with only 35 CAMRA members. Initially forming as a sub-branch of Durham CAMRA, Darlington CAMRA was up and running !. Today the situation is much, much brighter. 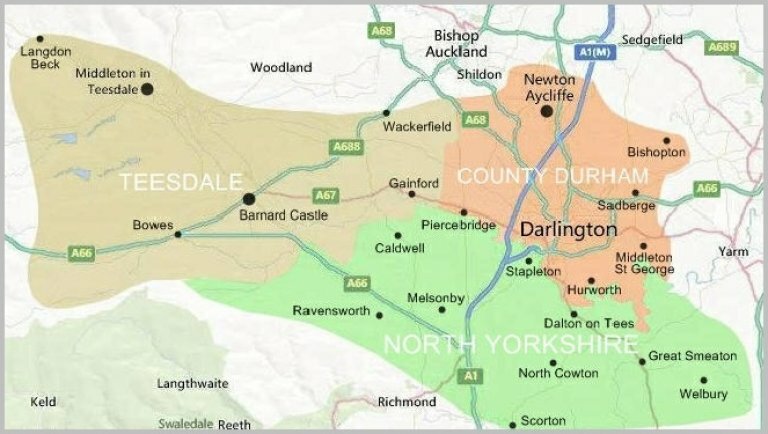 In our branch area there are approximately 130 places to find cask beer with many different beers on offer, and Darlington itself can boast around 30 outlets with around 60 different ales. However, all is not perfect. Independent breweries, in particular well established and family firms are still folding. Community pubs are disappearing fast, while pub chains are strengthening their stranglehold. But without Darlington CAMRA things would be much worse. So join us in toasting over 35 years of campaigning for real ale in and around Darlington.